If you’ve ever thought about saving some energy or money as the weather gets cooler, you may have thought about strategically using the vents in your home. Maybe you don’t use a room or bathroom very often; it would make sense then, to close the vents off to that room and prevent warm air from unnecessarily heating it up. This would then save you energy and money in the long run. While it makes sense logically, that’s actually not the case. In fact, you could be using more energy with some of your vents closed than you would with all of them open! To learn why you should keep your vents open this winter, keep reading. Whether your vent is open or not, the warm air is still going to try to push through to each vent. When the vents are closed the air won’t be able to come easily through the vent. Instead, it will be forced through any crack it can find in the duct work or other areas that aren’t sealed properly. In the end, if it can’t find a way out through the vents, the warm air will be forced back into the basement or perhaps the floor cavities where you definitely won’t be benefitting from the warmth. The cold air returns in your home are going to pull in cold air. If it’s not from the room, it will come from cracks around doors or windows and other unwanted places. If you’re going to pay to heat any air, it might as well be the air in the rooms of your home. Closing off vents and doors to certain rooms create and build up pressure unnecessarily. Your HVAC system is designed to balance the pressure and temperature of air in your home. When that balance and temperature is interrupted, it hinders your system rather than helps it. With all the extra work your furnace and HVAC system does will eventually take its toll. The type of HVAC system you have is determined by the size of your home and the calculated cooling and heating needs. When you close vents and block air from going to certain rooms, you are making your system work harder than it needs to, and harder than it was designed to. In extreme cold, the lack of warm air in your duct work may cause freezing to occur. 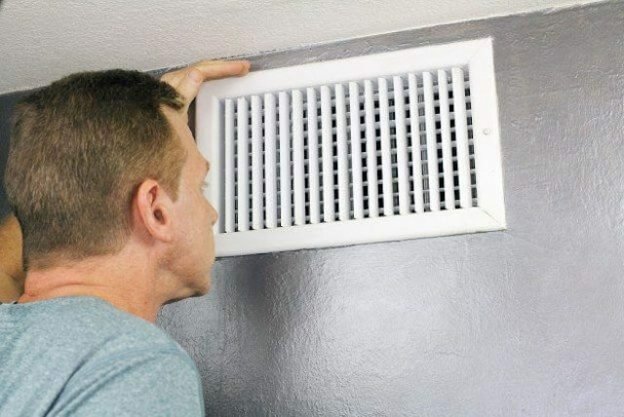 Don’t shorten the life of your HVAC system unnecessarily by closing off your vents. If you really want to save some cash on your bills, keep your vents open and allow the air to flow freely throughout your home, but consider lowering the temperature a few degrees. You probably won’t notice a temperature difference, but your system will be happier without the closed vents and you will be saving money. If you feel that you are wasting energy in certain rooms of your home by heating them in the wintertime, talk to an HVAC professional about other options. Your HVAC system may need a simple tune-up, and the guys at Complete HVAC can help! This entry was posted in Blog and tagged AC Maintenance, AC Repair, AC Replacement, AC Tune up, Air Conditioning Repair, Air Conditioning Replacement, Furnace Maintenance, Furnace Repair, Furnace Replacement, Furnace Tune-Up, Heating Repair, HVAC Contractor on August 31, 2016 by admin.